Please join us for our Chapel Family Update: Annual Meeting Edition. Everyone is invited, and if you are a member, we hope you will make this meeting a priority. We will gain a greater sense of shared partnership regarding the mission Jesus has entrusted to His Church as we discuss how He has led us over the past year and where He is taking us in the year to come. 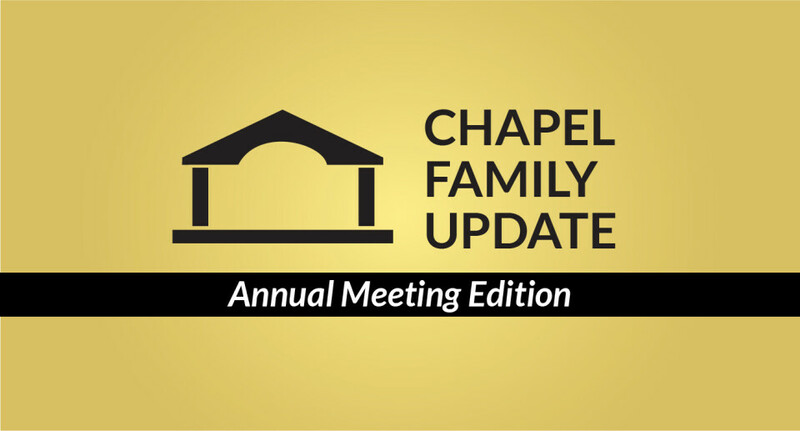 This Annual Meeting Edition of our Chapel Family Update will also include elder elections. To find out more about our elder candidates, please click the button below.